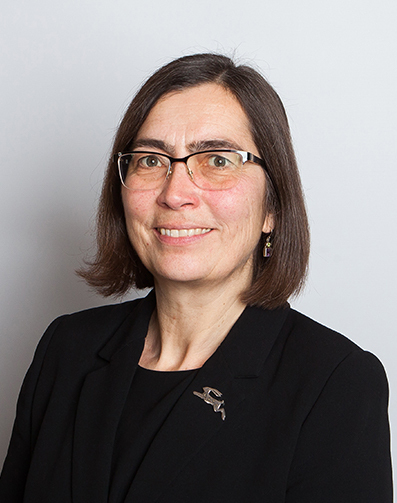 As a member of East Anglian Chambers’ Family Law Team Kate accepts instructions from children, parents, or any other family member finding themselves caught up in legal proceedings relating to family breakdown. She also acts on behalf of Local Authorities, Guardians, Special Guardians and the Official Solicitor. With expertise in Matrimonial Finance, including farming and family company cases, clients will benefit from her experience and knowledge of the distribution of pension assets. Kate also accepts instructions in Schedule 1 and ToLATA cases (applications for financial support for a child, or relating to a property between parties who are not married). Kate deals with the full range from the ‘no money’ case to the lottery winners. In a wide-ranging public and private law ‘Children’ practice she has experience of cases involving: domestic violence including non-accidental injury and murder, sexual abuse, neglect, drug and alcohol addiction, child abandonment, intractable contact disputes and parental alienation, international relocation and reciprocal enforcement of orders. Kate has concern and understanding for her clients and can be relied upon to give firm and realistic advice based on thorough preparation. In court she is forthright and tenacious and widely respected by her colleagues. Kate is Public Access qualified and is happy to provide advice and/or representation in court directly to members of the public through Chambers. S v S (matrimonial finance) – Represented H (a senior hospital consultant) in proceedings where W contended that H should not be permitted to retire and, if he did, should continue to pay spousal maintenance as if he was still working so as to support her preferred lifestyle. Arguments around the appropriate quantum and duration of spousal maintenance after a long marriage during which W never worked and whether W should be expected to adjust to reduced circumstances upon H’s retirement. B v B (matrimonial finance) – Advised W on the effects of an unusual order, made many years ago, where her application for a lump sum was adjourned as there was uncertainty as to the future value of H’s company – the company subsequently failed, but H has prospered while W is impoverished. Nothing on the face of the order to limit her claims to the value of the company, will the court make provision for W from assets acquired by H long after divorce? W&C v Prospective Adopters (permission to oppose) – Represented Local Authority in application by natural parents for permission to oppose the making of an adoption order. Both parents have enduring issues which mean they lack litigation capacity. Despite extensive enquiries, it was not possible to find anyone to act pro bono so neither was represented during the proceedings. The legal issue was relatively straightforward; ensuring the parents had a fair trial was less so. Re S & K (children) and Re L (a child) – Represented a local authority in two sets of concurrent care proceedings for a 14 year old and her 12 year old sister on the one hand and the child of the 14 year old by her 15 year old boyfriend on the other. Case management was the complex issue as the cases could not be consolidated but a lot of the evidence cut across both sets of proceedings. Re J & L (children) – Represented a local authority in care and wardship proceedings involving two teenage girls caught in the middle of warfare between rival drugs gangs who had taken over their mother’s home (cuckooing) – the inherent jurisdiction of the High Court was exercised as one of the girls was too old for a care order.